While Ontario remains the largest mineral producer in Canada, there remains a lively junior exploration and development scene across a wide variety of targets including gold, silver, cobalt and diamonds. The following is a look at seven junior mining companies active across the province. Vancouver-headquartered Brixton Metals (TSXV: BBB; US-OTC: BXTMF) is an exploration and development company focused on advancing its wholly owned gold and silver projects, which include four substantial properties: the past-producing Langis and Hudson Bay silver-cobalt mines in Ontario’s historic Cobalt camp; the advanced stage Hog Heaven polymetallic project in Montana; the district-scale Thorn gold-silver-copper project in B.C. ; and the early-stage Atlin gold project in northwestern British Columbia. Brixton’s work at Langis took an unexpected turn in August with the discovery of significant kimberlite intercepts and a small, clear diamond fragment in core while targeting cobalt-nickel-silver mineralization in shallow Archean rocks. As late as July, Brixton had been looking to spin out its cobalt assets to focus on precious metals, but this subsequent diamond discovery may have paused this strategy for now. Vancouver-based junior Crystal Lake Mining (TSXV: CLM; US-OTC: SIOCF) is looking to advance its Nicobat nickel-cobalt project near Emo in northwestern Ontario, 35 km from New Gold’s Rainy River mine. To that end, Crystal Lake closed a $1-million financing in May 2018, with each unit of the private placement consisting of a share and one full warrant that allows the holder to buy another share at 70¢ within two years. Crystal Lake says the project has several highlights: the historic mineral zone Nico1 has yet to be tested at depth; the nickel “tenor” (metal content in 100% sulphide) is estimated at between 3% and 4%; Crystal Lake’s last drill hole in late 2015 cut high-grade nickel-copper; it is an “ideal geological setting” for a nickel-copper-cobalt-platinum-palladium massive sulphide discovery in an under-explored region; the overall land package is “highly prospective with multiple target areas”; and there is “excellent infrastructure,” with roads, rail and power all present. 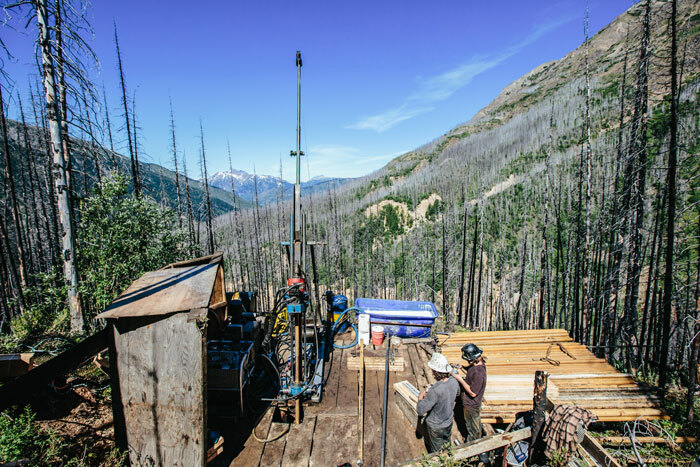 The company says it is well-positioned through Emerald Lake, its geological contractor, to undertake a program this year using a team of explorers from Ronacher McKenzie Geoscience Inc., backed by the magmatic sulphide expertise of Lightfoot Geoscience. Edison Cobalt (TSXV: EDDY; US-OTC: PWMRF) is the new name for Vancouver-based Power Americas Minerals, which is focused on the procurement, exploration, and development of cobalt and other energy metals in North and South America. Edison Cobalt’s flagship is the Kittson cobalt project near the town of Cobalt, Ont., and hosts the historic Thomas Edison, Shakt-Davis and Cobalt-Kittson mines, as well as numerous historic workings, the deepest extending down to 191 metres, and over 762 metres of lateral workings. The Thomas Edison mine was developed by the eponymous American inventor and entrepreneur. Edison Cobalt describes cobalt mineralization as occurring in Proterozoic-aged, quartz-carbonate veins hosted in brittle shears in Nipissing diabase, with this style of mineralization being similar to that of the famed Cobalt Silver Camp located 15 km east of the property. The junior says historic reports from the Shakt-Davis mine indicate values of 1.5% cobalt over 1.37 metres and grab samples returning up to 4% cobalt and 93.3 grams gold per tonne. Locally significant nickel, copper, and to a lesser extent, lead, zinc and bismuth also occur within the quartz-carbonate veins. Only a year and a half old, First Cobalt has already accumulated over 100 sq. km of prospective ground in Ontario’s iconic Cobalt camp, with the company’s Greater Cobalt project comprising land that includes over 50 past-producing mines, a mill and the only permitted cobalt refinery in North America that makes battery materials. 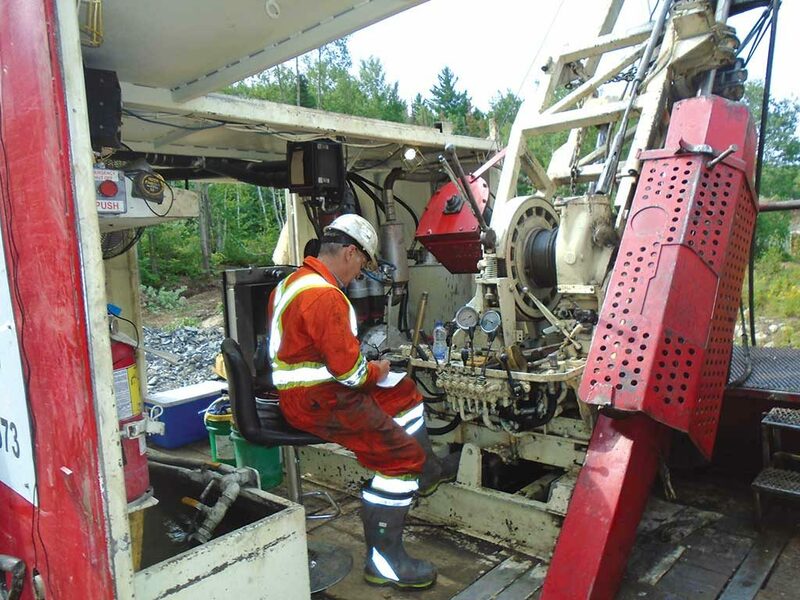 A driller on a rig at First Cobalt’s project near Cobalt, Ontario. Credit: First Cobalt. In June, First Cobalt outlined a $9-million work program for its new Iron Creek cobalt-copper project in Idaho, where it intends to calculate a resource estimate by October 2018, and complete another 30,000 metres of drilling to double the mineralized zone along strike beyond the area drilled in 2017. The historic resource at Iron Creek is 1.2 million tonnes grading 0.59% cobalt. In early September, First Cobalt acquired 100% ownership of the Iron Creek property and eliminated an outstanding royalty. The company says it has begun a consultation process at Iron Creek and started collecting baseline data for future permitting.